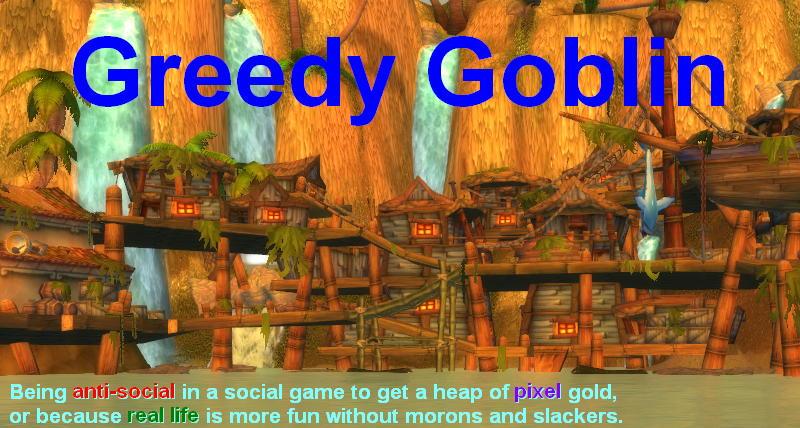 Greedy goblin: How could the RL economy crash? How could the RL economy crash? My current situation with implants gave a very good insight how could carefully built financial systems, operated by the best and the brightest could fail terribly. To see how, you just have to think about one simple video game question: how much SS-905 implant worth? The historical data (screenshotted on Sunday, when FW cashed out) says around 120-130M. Yet on Sunday, when Minmatar reached T5, it crashed down to 60M. I had lot of buy orders to pick this and many similar up at 70 and 80M, way below the historical data. It's a speculation, I took a long position hoping that the price will elevate and I sell at profit. I've posted a business report every day which need me to valuate all my assets. I just wrote "no idea" since T5 sellout. Because that's the truth. I have no idea how much these implants worth. You can have your own speculative idea. Maybe you - like me - expect CCP to fix FW after it reached "game over", Minmatar and Caldari completely capturing lowsec. There are lot of reasons to do so, much more than not. However we still don't know how much SS-905 will worth, neither how much it worth right now. Now, "I have no idea how much my asset worth" is embarrassing. I'm supposed to be some kind of trading guru and I can't even tell how much money I have? Who will believe me now? This is a video game and my assets are mine. If I lost my credibility, too bad, I lose some visitors on a blog that I write on my free time. Now imagine that EVE would be real, I would really be a space industrialist, and above all, imagine that the assets weren't mine, I'd be just an investment banker. That would be bad. Please note that it wouldn't be bad because I lost money. I think I didn't. I think I'll close this deal with profit. My situation would be bad because I had to write to my daily report: "dear investors, I have no clue how much your assets worth, but I guess it will elevate above the entry point some time". I'd be out of business no time. To stay in business, I had to write some number and preferably a big one to get more investment money which pays my salary. Since I have no clue, I best turn some expert! If I mouse-over the implant, it says 122M value. This is what the CCP algorithm says. Or, I can look at the graph above which says the same. So I bought 122M implants for 70-80M. Increased the assets of my investors by 50-60% overnight. They going to love me! Of course if someone makes up fake results, he'll be out of business, strike that in the prison. But the point is that I did not fake results. I did not lie in the sense as Madoff. He knew that his scheme is a fraud and any sane person who could look at his accounting could notice that too. I honestly think that SS-905 will be over 80M in a month and while some might disagree, none can say that I'm scamming. Even they would testify that my guess can be right. The fundamental problem is that no one knows if and when CCP will fix FW, how many implants were swarming to the market, how much is in hands of investors and so on. No one can have a correct answer, so no one can say "you are wrong!". OK, but isn't that the point of speculation? I do something risky, might win, might lose. Yes it is. The problem is that while I know that my implant value is a best guess, the guy who reads my report of "122M" will trust it. I just pulled it from a source that looked reliable enough to blame them if things go wrong. The guy who reads my expert opinion will believe that 122M is the proven price. He will make his decision based on the "fact" that SS-905 worth 122M. Now forget the game which is rather simple and think about real world with derivatives, CDS-es, repackaged deals, stocks of corporations whose largest asset is stocks of other corporations and so on. No one can understand the whole system. Even the best analyst can valuate just his own papers. He uses the value of other papers as input in his calcualtion. People kept building card-houses from reports that were best guesses at best. They took the opinion of others as facts and created new "facts" until the point the whole market was full of papers that everyone considered great, despite being totally worthless. This was another shitworm-scam a Ponzi-scheme built not by malice but by ignorance. No one ran away with the money, it was wasted by those who were spending their work hours by writing guesses and those who received a few % profit in the previous years for putting their savings into "rock solid" papers. If every uncertain analyst would write "I have no idea, but my best guess is X", such events could be prevented as people wouldn't buy papers based on some strangers guess. But the first guy who writes this will be fired as incompetent, so the above is impossible. The moral of the story: the valuations of papers, including the current stock market price are just guesses. No one knows anything for sure. If someone approaches you with the idea "give me money and I know how to get 10% interest on it", run from him screaming. Not because he is a scammer, but because he has no clue. All he has are educated guesses made from data that are guesses of other people. Use your money yourself or find someone who at least can explain how will he use it. PS: since the FW AFK-farming messed up the prices trading is interesting again. Sometimes EVE almost feels like playing a game. There is still no business report (obviously), hopefully I can tell something on Monday. I spent 0.5B on main account Plex. There is an old statement, "Something's worth is only what someone else is willing to pay for it". In the strictest sense, your implants are "worth" either the immediate top buy order, or the immediate bottom sell older (if it sells at the price you list it). As with anything which floods a market in limited demand - prices drop. There is now a glut of implants on the market and it is truely a "buyers market". Whilst you may consider my approach "speculative", I am looking at the large depreciation in implant prices as an excuse to buy up alot of stocks. Quite a lot. An almost frightening amount of isk to me, the largest single 'speculation' I have made. But I do not consider it to be risky. I'm getting the items for a historically cheap price. I'm significantly diversified across this and many other markets. I will probably lose on some specific items but in the wash out I expect to profit extensively. The real word market is based on more solid datas than implants. When a firm is making 2 billions of profit each year and is expected to increase its profit the value of the corporation cannot go under a certain point. Ultimately real world's market is based figures that can be measured. Profits can be used to evaluate the value of firms. The only problem is when stock is going crazy with no respect to the fondamentals (think of Apple or Facebook right now..). I did the same thing as Gevlon ~ 2 months ago. I got about 10 billion in goods bought below historical. It took me 1 month to clear everything with minimal profit. BUT I had the luck to invest in item that is not so easy to generate as implants are. On the other side, I invested in ~ 2 million pieces of an item bought at 200 and managed to sell them 2 weeks later for 900. In the first example I'm actually losing money becasue the capital invested wasn't working for me for too long. With 10 bil and 5% profit per day you are losing 4 billion per week when you are not rotating the money. You don't have to go for one single method. Until the market stabilizes I'd value the implants at the historical cost you bought them for while adding a note that details the difference to a strict mark-to-market approach and your risk exposure. "I have no idea how much these implants worth." Yes you do, they're currently worth 60m - you said that in the previous paragraph. If you think they may go back to 120m - then that's speculation. This is no different to the players who are buying stuff in speculation of price changes due to features in upcoming expansions.
" If every uncertain analyst would write "I have no idea, but my best guess is X", such events could be prevented as people wouldn't buy papers based on some strangers guess. But the first guy who writes this will be fired as incompetent, so the above is impossible." that's pretty much how accounting works, see the updated FAS 157 Paragraph 29 (pp 14)for the guideline itself and Example 11/A32 for an example. If the market is not operating normally you are allowed to make a best guess (within reason) as to what prices would be if the market was operating normally and use that in your accounting. Your financial report has to group these assets as "level 3" assets (their valuation is based on "unobservable inputs for the asset or liability, that is, inputs that reflect the reporting entity’s own assumptions about the assumptions market participants would use in pricing the asset or liability (including assumptions about risk) developed based on the best information available in the circumstances"), so the readers know that you have no clue and are just making wild guesses in order to avoid having to report uncertain losses. e.g. in the Deutsche Bank 2012 Q2 report you can see that the bank currently values 42.6b in assets and 11b in liabilities based on lvl3 inputs (i.e. based on "best guess" valuation). It also seems to have made some progress in moving the valuation of some assets up to level 2 (which means the valuation is now based on inputs that are not the market price but that are at least observable). Your investment in the implants is basically a bet on whether CCP is going to change Factional Warfare. If they do then supply will dry up and return to the old prices. If they don't then the market will find a new equilibrium point whether that is higher or less than 60 million (probably less) who can say. With the expectation that CCP will change FW payouts is there any information to support the view that they will change it. If so please share the reference. Or you know, don't. I love competing with those who won't admit they don't know things. "I just pulled it from a source that looked reliable enough to blame them if things go wrong." A philosophical principle: call things by their right names. Society would benefit greatly by following this rule more often. In this case, things like rating agencies should be called 'scapegoats,' as that is their precise function. They're there to be blamed so that the actual decision-makers don't have to pay up. They exist to separate moral accountability from financial accountability. I'm hip deep in FW with one of my alts. I also have enough cash to sit on my ill gotten booty until the market recovers. The time to sell is just before your faction gets to T5. @Kristopher: no need for FW alts. In any station you can click the militia button and see it. For example in Jita you can join the Caldari militia and see the Caldari and Gallente T status. "click the militia button and see it." that shows the current teir of both factions. this can change very quickly if the FW mafia decide today is the day to cash out. if you are a member you get detailed information on current systems status. this lets you see if the FW mafia are within reach of cash out. if they have enough systems that could be upgraded. Is there anything you'd suggest to do with my RL savings? I have 2 years income in my bank account doing nothing. I don't let the bank invest it in anything because... well I just don't care about interest and think all financial products are (or become over time) an economic bubble. It's all just gambling. From what CCP Ytterbium wrote, I don't expect these changes to roll out until the winter expansion, so essentially until the end of the year. All value is subjective in the end, market prices only give hints about what it is at the moment, and they change constantly. The fundamental problem is that people have to take actions based on the knowledge they have, BUT all knowledge that can be had is imperfect. It's the tragedy of Romeo and Juliette.